Scott Downey, Chef-Owner of The Butternut Tree, grew up in St. Albert and spent his summers visiting family in New Brunswick. The memory of the butternut tree in his grandmother’s backyard is a powerful symbol of the wonderful ingredients growing all over the Canadian landscape, waiting to be rediscovered. Chef Downey has cooked at Michelin-star restaurant Daniel in New York, the highly decorated Noma in Denmark, and Wildebeest in Vancouver. For the prestigious James Beard Foundation, Scott took part in the preparation a special foraged feast with Chef Eddy Leroux and forager Tama Matsuoka Wong. With a love for Canada and its abundant bounty never far from his thoughts and heart, a return home was always in the cards. Chef Downey returned to Vancouver where he founded and operated a foraging company with many fine restaurants relying on his ingredients. 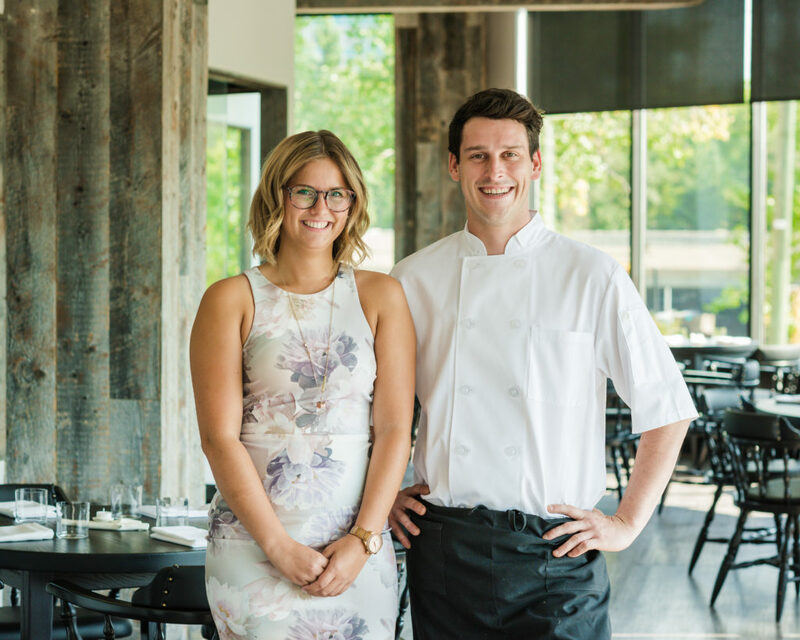 Today, we find Chef Downey back in the prairies gearing up to open The Butternut Tree in the heart of Edmonton’s downtown core — a place that celebrates the art of gathering, in both fine company and ingredients. 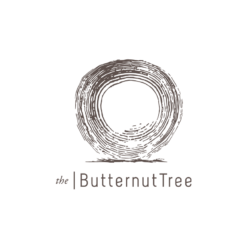 Jillian Fonteyne, General Manager of The Butternut Tree, was born and raised in Edmonton. Some of her earliest memories of exemplary service and hospitality stem from incredible family vacations and part-time jobs in the restaurant industry. It was these experiences that cultivated her lifelong passion for hospitality and love of travel. She was able to translate her passion for hospitality into a career by furthering her education at NAIT and Royal Roads University. After completion of her degree in International Hotel Management, Jillian relocated to England where she began her career at the five-star Four Seasons Hotel Hampshire. Early in 2015, Jillian moved to Ireland to work at the award-winning Gregans Castle Hotel as Restaurant Manager. This is where she developed a greater appreciation for food and the origin of ingredients. Following her time in Europe, she returned home to Edmonton to continue her career in the developing food and beverage scene. Working as a manager at some of the latest downtown restaurants to emerge on the hyper-local scene in recent years, Jillian brought exceptional leadership and experience to the (dinner) table, helping these new restaurants achieve success in the evolving Edmonton restaurant industry. Now Jillian inspires the team at The Butternut Tree with her impressive knack for creating a memorable guest experience.